Thanks to Toby Whitty for the write-up of the Maurice game from last Saturday. It’s fast approaching Mission Command time again – 5 November, and there will be fireworks in Frome! This scenario is based on one that we used as a demo at Salute 15 (not exactly the same however, so quite playable by those attending that event). Overview: The British are maintaining pressure on the Germans to the north of Caen. 6th Airborne Division, far from being withdrawn for recuperation, now forms the northern coastal flank of the continuing British operations to expand the beachhead to the east and south. Opposite them are elements of the much depleted 2 Panzer Division. For this game, we can adjust forces to fit the available players – it will be roughly a brigade each side. Please would you let Pete know whether you’re interested in participating in this Mission Command game. Feel free to indicate a preference for British or Germans, and I’ll try to accommodate your wishes. When I have an approximation of numbers of players, I can adjust the scenario accordingly. 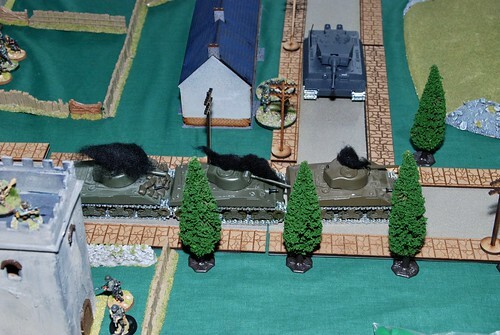 It’s also worth noting that the revised Mission Command now has rules for AFVs to overrun infantry – exciting isn’t it! 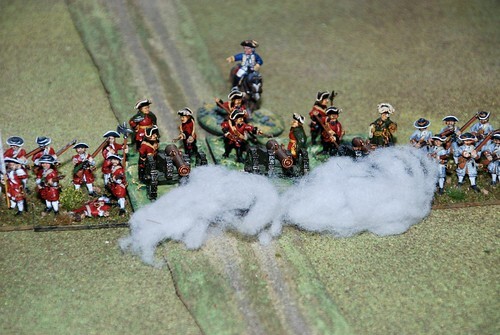 Yesterday saw three games take place: a Bolt Action skirmish, a The Men Who Would Be Kings colonial battle and an 18th century “Imagination” game using the Maurice rules. Everyone seemed to have a good time at their respective tables. A small selection of photos from the day can be found on Flickr.